So it’s Saturday again! The days really seem to be flying by. Thank goodness for the scheduled posting system on blogger, because I’m in the theater shop all day today, building the set for this semester’s musical! Imagine me with power tools. But seriously. Pray that I won’t seriously injure someone or break the stage or something. 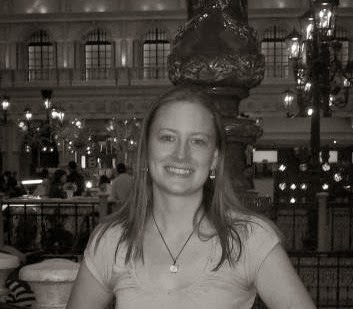 Anyway, today I’m featuring Carrigan Richards, author of “Pieces of Me”! Seventeen-year-old Corinne has everything. Her life. Family. Friends. Boyfriend. But in that one second, she loses it all. Now she’s left with harrowing nightmares. Hallucinations. And panic attacks that seem to come out of nowhere. She tries everything to take the pain away, but there’s only one option she sees as a true way out. When Corinne is sent to live in a psychiatric institution, she doesn’t want to talk. It’s pointless. They can’t help her. But slowly Corinne opens up and wants to remember what it’s like to be happy again so she begins reliving her past life to her doctor. She knows she can’t live in the past, but she sees no future and is faced with the hardest decision of her life. Books dealing with psychological issues are so interesting to me. I’m fascinated to read this book (I’ll be reviewing it later this year). The sky rumbled like a rubber mallet hitting a drum and heavy rain pelted the windows. The security light’s blurry orange glow seeped inside the room, shadowing the bars from the window on the tiled floor. I closed my eyes tight knowing something bad was about to happen. And then I was back there again. I jerked the wheel but the tires refused to grip the road. I lost control. The car acted as a magnet to the great oak. It slammed into the tree, crushing itself. Glass exploded all around me as the metal crumpled. My body jerked forward but the seatbelt held me back. My hands flung to my face, covering it from the flying glass. With an intake of breath, my eyes opened wide. My heart beat against my chest like rapid fire. I gasped for air and trembled as a tingling sensation scurried throughout my arms. Tightness developed in my throat and my body heat rose. The dark room swam before me and I clutched the sheets, waiting for it to end. When it finally did, I collapsed back on the lumpy bed. Another vision. And then I would panic. Like some unfortunate doom lingered over my head. I didn’t know what it was. A feeling of dread washed over me as I realized I may have actually screamed aloud. Lovely. I was sure Emma was glad to have some crazy roommate who screamed randomly. Just twenty-four hours ago, I was in my own bed, angry that my parents packed a suitcase for me. I missed my room. It wasn’t drab. Or so small it could make someone feel claustrophobic. It definitely didn’t have stupid floral pictures on the walls. They weren’t a boring white either. I couldn’t believe I actually started feeling homesick. I wanted to sleep, but I knew the nightmares or visions or whatever would prevent me. So I lay there and gripped the itchy blanket, wishing for the storm to pass, like some little kid. I jumped at every flash of lightning and every explosion of thunder. I was seventeen years old and scared of storms. How pathetic. I was born in Cullman, Alabama, but grew up in Birmingham, and moved to Atlanta at 18. I earned my Bachelor of Arts degree in English at Kennesaw State University. Ever since I was a little kid, I was always making up stories or characters in my head. I’d use my dolls to play out scenes. One day I started writing down the scenes. Nothing ever really came of that, but one day my mom lost her job and I wanted to make her happy, so I wrote her a poem. And another. And another. Soon, I had a whole notebook filled with poems. I continued to write poems and started writing stories a la R.L. Stine. I wrote my first novel at 15 and I’ll never forget my friend in math class asking me every day how far I’d gotten. 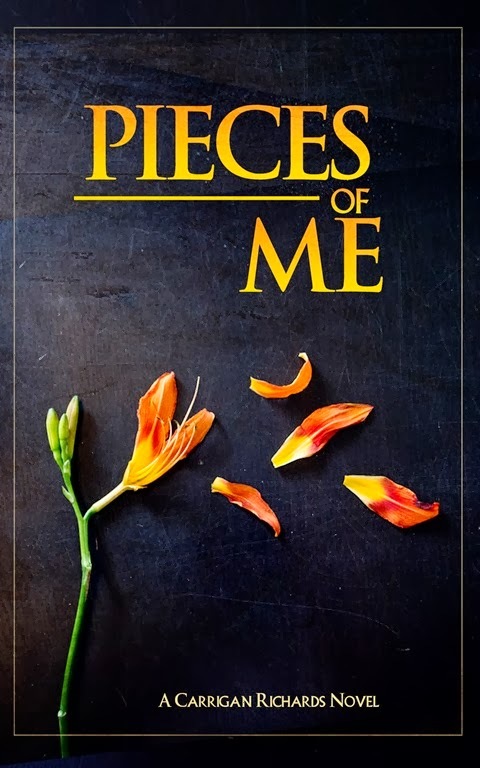 I wrote another novel when I was 18, and with many years and dedication (and getting sidetracked from school and writing other novels), I finally finished, Pieces of Me. When I’m not writing (which is rare), I’m listening to music, hanging out with my friends, playing with my sometimes psychotic puppy, or cheering on my Atlanta Braves. This entry was posted in Contemporary, Saturday Spotlight and tagged Contemporary.